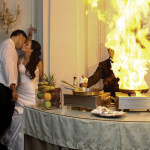 The African-American culture has many rich wedding traditions that couples can incorporate into their wedding. “To celebrate their African ancestry,” says Michelle Flores, founder of Floré Events, “we orchestrated a libation ceremony for one of our bridal couples. In this tradition, holy water or alcohol is poured out in each of the cardinal directions — north, south, east, and west — while prayers are recited and the names of those who recently passed away are called out.” Michelle and her team researched libation prayers, got the ornate vessels needed for the sacred ceremony, and then worked closely with the officiant to coordinate the ritual within the wedding ceremony. 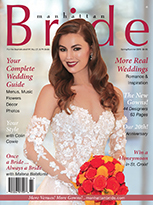 “We always urge couples to involve friends and family members in the traditions of their culture,” says Claudia Charles, senior wedding specialist at Floré Events. 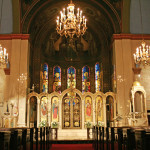 “For example, in this ceremony, you can invite friends and family to explain the tradition and to call out the names of those who have passed, as well as to read prayers.” Others could be asked to carry and present the libation vessels, providing additional opportunities for those who could not be in the bridal party to still play a special role in the wedding. To honor the authenticity of this tradition, Floré Events worked with a designer to create a specially handcrafted broom for one recent wedding couple who jumped the broom into their lives as husband and wife. 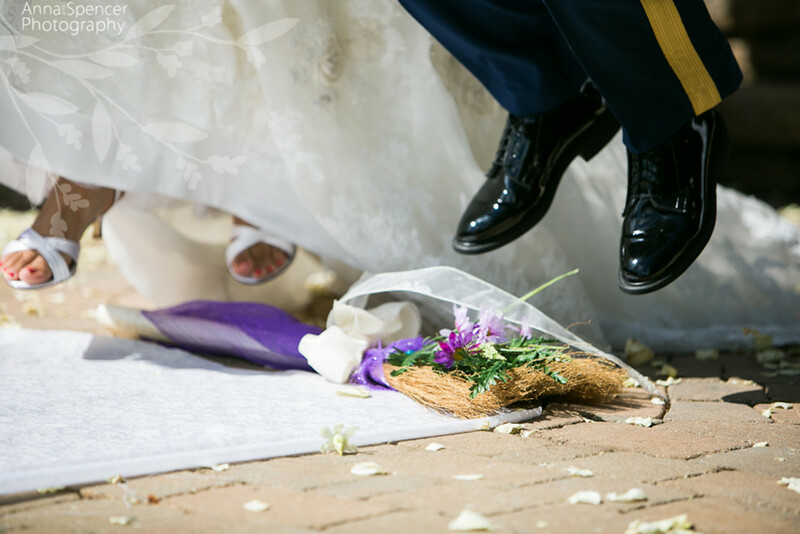 “We were also on hand during their wedding rehearsal to direct the placement of the broom for the ceremony and to ease the couple’s nervousness about the jump. Claudia encourages couples to bring personal elements into their own cultural traditions, whatever their culture might be. “For example, in an African-American wedding where they will jump the broom, I often suggest that, upon arriving at the ceremony, guests write their best wishes on colorful slips of paper.” Each slip is attached to a ring and then placed around the broom handle. 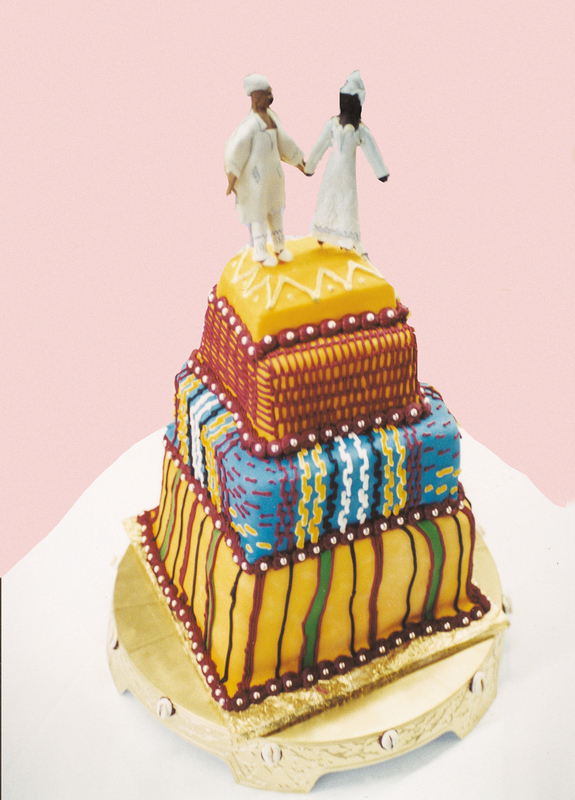 Kente cloth wedding cake with the likeness of the bride and groom in their bridal attire. 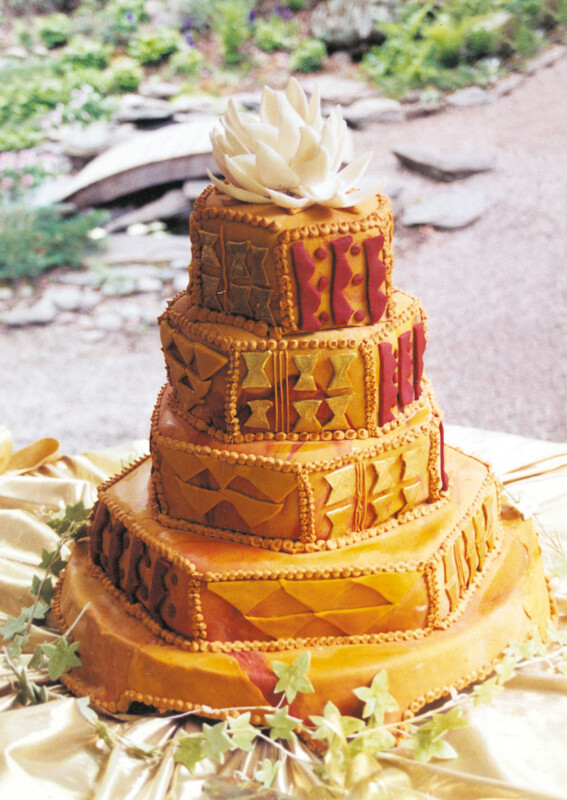 This cake is topped by calla lilies, which are tropical African flowers, and also has an ongoing theme of African tapestry. A lesser-known African-American wedding tradition involves crossing tall wooden sticks to represent both the life force within trees and the first two pieces of wood the couple will use to build their home together. African cloth and fabric also can be used as runners, tablecloths, and napkins. For their wedding look, brides who admire ancient Egyptian styling can seek out long flowing gowns and adorn themselves with gold and turquoise accessories such as chains, earrings, rings, and bracelets. Couples who prefer traditional African and Yoruba styles might consider wedding garments made of “aso oke,” or “royal cloth,” a hand-woven cotton fabric from Nigeria. If a couple wants a heavily Afrocentric wedding, they can ask the bridal party to dress in African clothing. 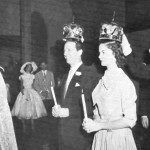 Drummers and dancers also can introduce the bridal party in a procession at the ceremony or at the reception. 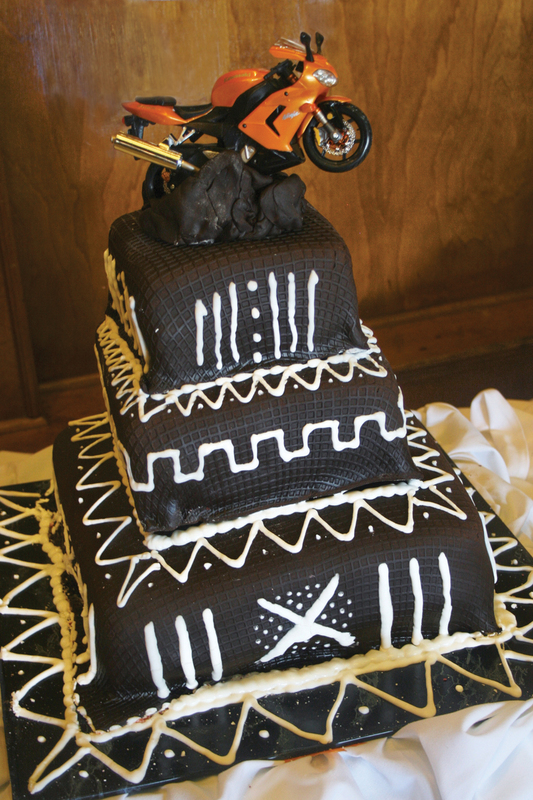 For an understanding of the African-American symbols that can be brought into a wedding, we caught up with Charmaine Jones, owner of CAKEDIVA®. 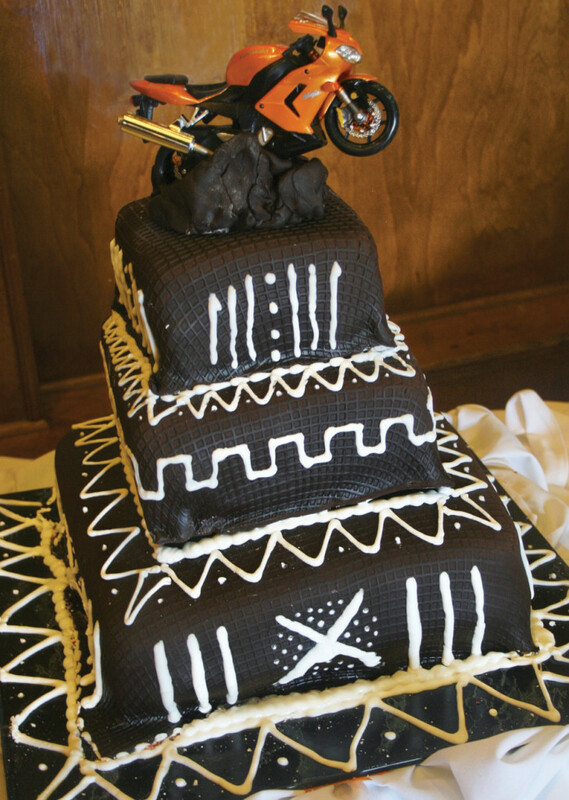 With a background that includes a master’s degree in fine art and years of designing experience, Charmaine creates original cakes for weddings honoring many cultures, including those with an Afrocentric flair. Her most famous Afrocentric cake, “Jumping the Broom,” is designed with four hexagons covered with edible African tapestry and calla lilies made of frosting. For a subtle look, Charmaine suggests traditional decorations with African tapestry, which she duplicates straight from original fabrics and which can be incorporated into many other aspects of the wedding, including invitations, table and ballroom décor, and favors. There are over 100 Adinkra symbols. 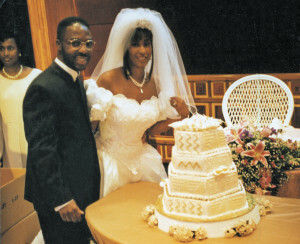 Some are very appropriate for a wedding, like the Akoma, a heart-shaped symbol representing patience and tolerance. Also appropriate for the wedding is the Akoma Ntoso, or “linked hearts,” which represents understanding and agreement. Couples who are more religious might want to include the Nyame Nti, shaped to suggest the branches of a tree and symbolizing faith and trust in God. Charmaine brings various symbols into the couple’s wedding cake, just as the couple might also introduce those symbols into other aspects of their wedding, again, from their invitations to table and ballroom décor to favors. 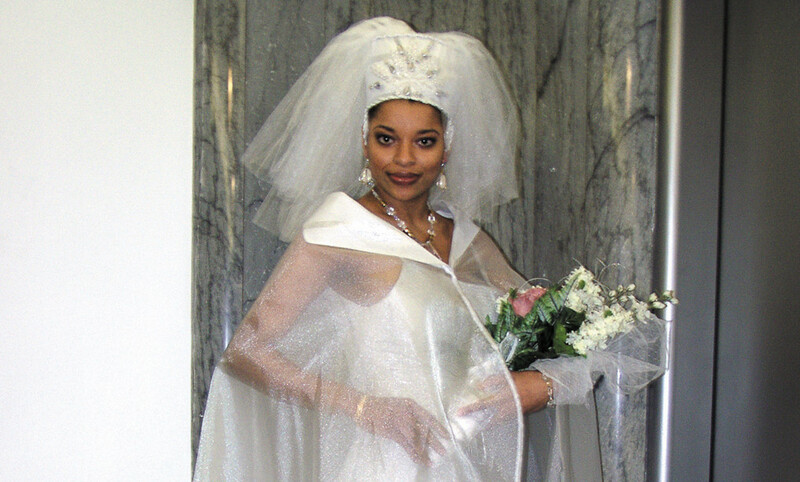 Adinkra symbols, and Egyptian ankhs as well, also can be added to the bride’s gown, for example, by embroidering them in silver and gold threads on the hem, bodice, or train of the gown. 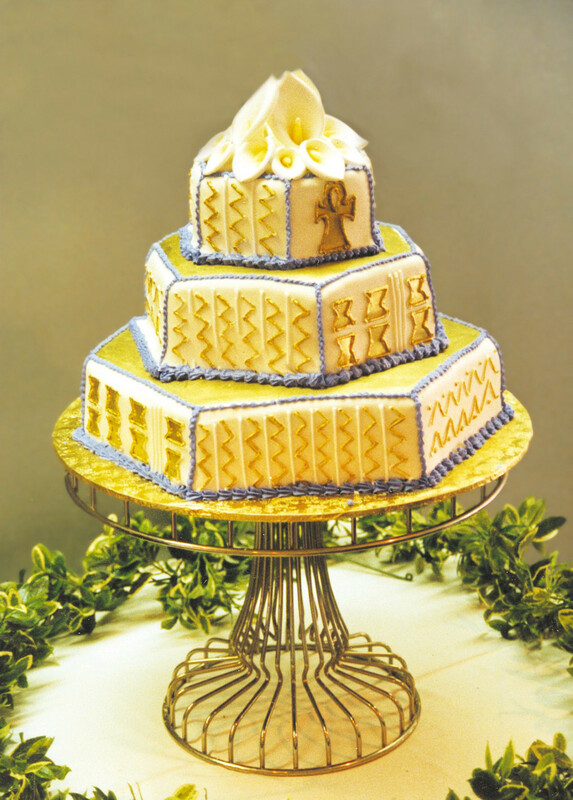 Charmaine also creates pyramid-shaped cakes featuring traditional Egyptian symbols. “The ankh symbolizes love and fertility, and concentric circles symbolize royalty. 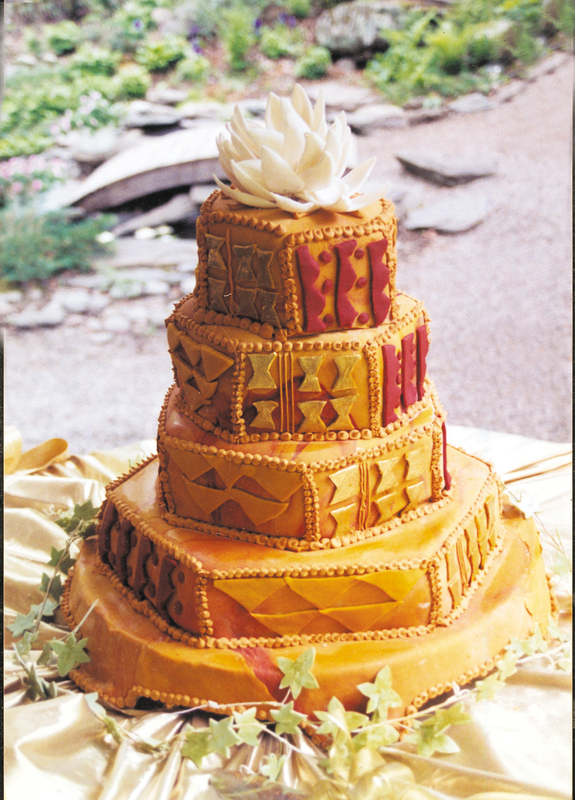 Cowry seashells also can be incorporated into the dress, the decorations, and the cake. Small and easily carried, they have distinctive shapes, creating a visual sense of value which prompted ancient peoples to use them as currency in Africa and in many other parts of the world as well. Today they represent good luck, prosperity, and abundance. Charmaine has a word of caution. “Black cakes are usually made with overproof rum plus cherries and dried fruits like currants and prunes, which themselves are soaked in rum for months. These cakes are very potent! So if someone wants to have a black cake or black cake favors, they can’t drive! I suggest eating that in the comfort of their own home. 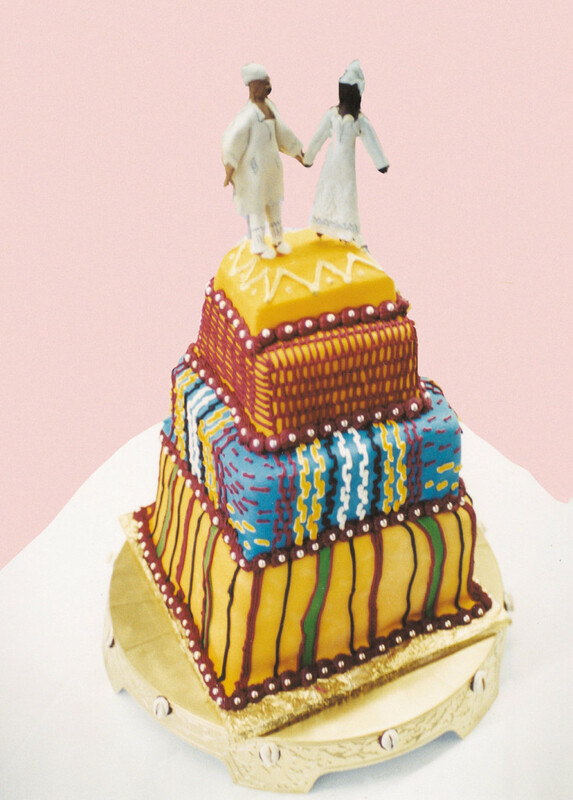 “For any ethnic group, the same elements can be integrated into the wedding and onto the cake,” she says. “A cake sets a tone of happiness that you see and feel when the guests are enjoying themselves."